Start your day off right with a healthy breakfast recipe that fills you up but still lets you fit into your skinny jeans. 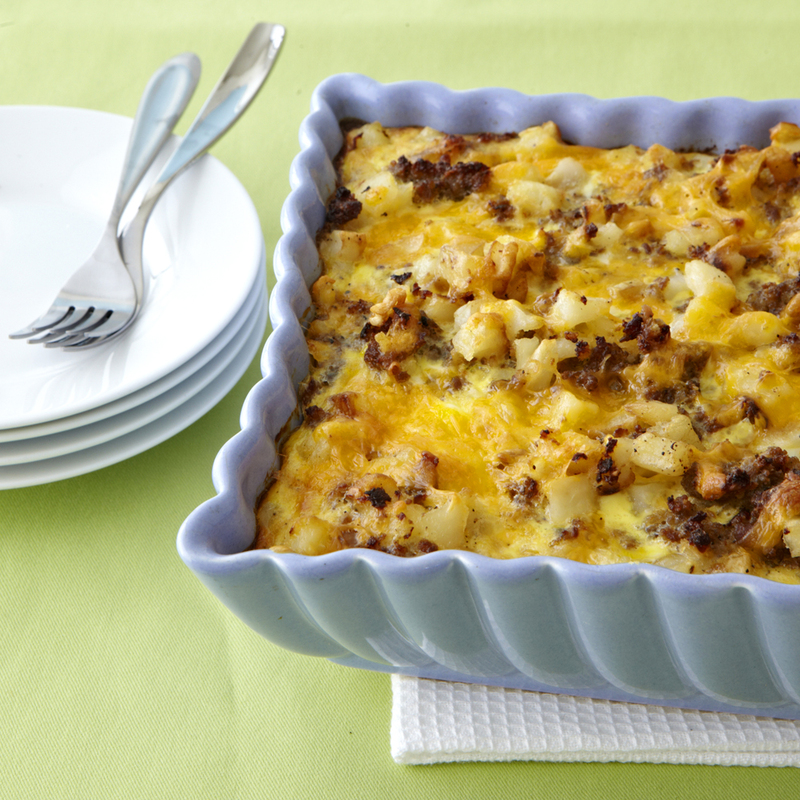 Assemble this low-fat breakfast casserole the night before and let it bake while you're getting everybody out of bed and ready to head out the door for school and work. Turkey sausage, reduced-fat cheese and milk, and egg substitute keep the fat at 6.8 grams per serving and the calories at 184. In Spain, a tortilla is a thin omelet made with potatoes, and served either warm or at room temperature. In this recipe, thin slices of potato are pressed into a pan to make a "crust" that holds the egg mixture, cheese, and tomatoes. While leftover pizza from the night before often stands in for breakfast, this pizza features traditional breakfast items such as sausage, hash browns, and eggs. Using turkey sausage, fat-free cheese, and egg substitute keeps the calories and the fat low. Top corn tortillas with spicy scrambled eggs and top with shredded cheese and fresh pico de gallo. Serving eggs with a tomato-based pico de gallo is a great way to add some veggies to your day. Start with a can of refrigerated pizza dough to make this savory breakfast bread that's filled with chicken sausage, eggs, and cheese. 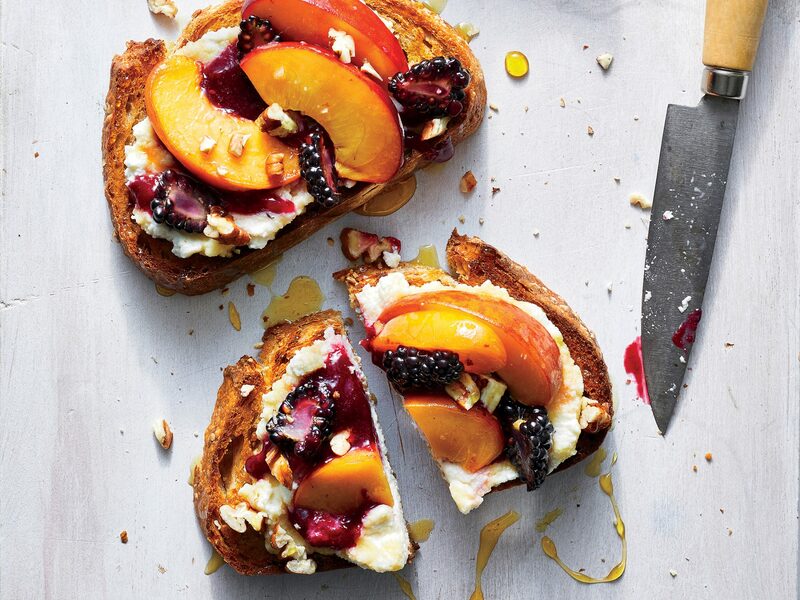 Balance your meal by serving the bread with a fresh fruit salad. Cooking eggs in the microwave is a quick and easy way to add protein to your breakfast. Serve the egg mixture on top of corn tortillas and top with reduced-fat cheese, salsa, black beans, and fat-free sour cream for a Tex-Mex style morning meal. Bright orange bell pepper adds color to this egg dish, but you can use green peppers if that's what you have on hand. Both provide a healthy dose of vitamin C.
It's easy to add whole grains to your diet when you spoon into this sweet, crunchy breakfast cereal. The nuts add even more fiber as well as heart-healthy fat, and if you eat the cereal with low-fat milk, you'll get calcium as well. This lighter version of a quiche Lorraine features a reduced-fat pie crust, egg substitute, and fat-free milk. Like the traditional recipe, it still contains bacon, and it calls for milder-flavored leeks instead of onions. Adding potato, onion, and bell pepper is a great way to make an omelet hearty and filling without adding much fat. The egg mixture is a combination of whole eggs and egg whites, and the cheese is part-skim mozzarella. Stir chopped fresh greens and mushrooms into the egg mixture for a frittata that's a nutrition superstar. Smoked gouda is a high-flavor cheese, so you need only a small amount for maximum impact.